The Kid’s College, a 501(c)3 nonprofit organization, enriches the lives and expands the horizons o f school age children by providing high quality classes and programs that are convenient, affordable and taught by professionals. We offer a wide variety of visual arts, performing arts, science, languages, life skills, financial literacy and technology classes taught at the child’s school. Kid’s College programs engage youth in creative activities that build artistic and academic skills, develop discipline, problem-solving skills and decision making, and a sense of achievement and personal worth. 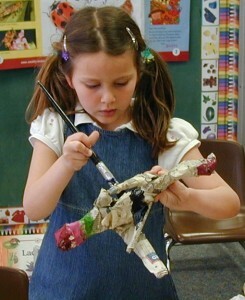 The Kid’s College is one of North County San Diego’s largest independent enrichment providers.